New York's 'barge-to-table' floating farm gives city residents without access to farmland the opportunity to pick their own food. 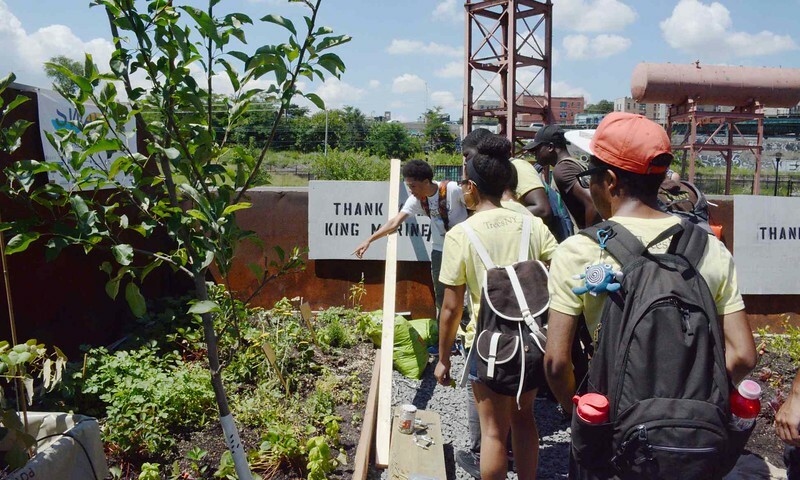 As a successful demonstration at Brooklyn Bridge Park comes to end later this week, Mary Mattingly has shed light on an obscure New York City law that prohibits the growing of food on public land, and demonstrated that edible perennial landscapes can help solve food insecurity problems in even the harshest of urban settings. Swale is a public floating food forest built atop a 5,000 square foot barge, currently docked at Brooklyn Bridge Park’s Pier 6. Founded in 2016 by artist Mary Mattingly, Swale allows visitors to harvest herbs, fruits and vegetables for free. The project began as an idea to advocate for food to be grown on some of the 30,000 acres of public land in New York City. Although NYC boasts over 100 acres of community garden space, the City has more than 30,000 acres of park space. 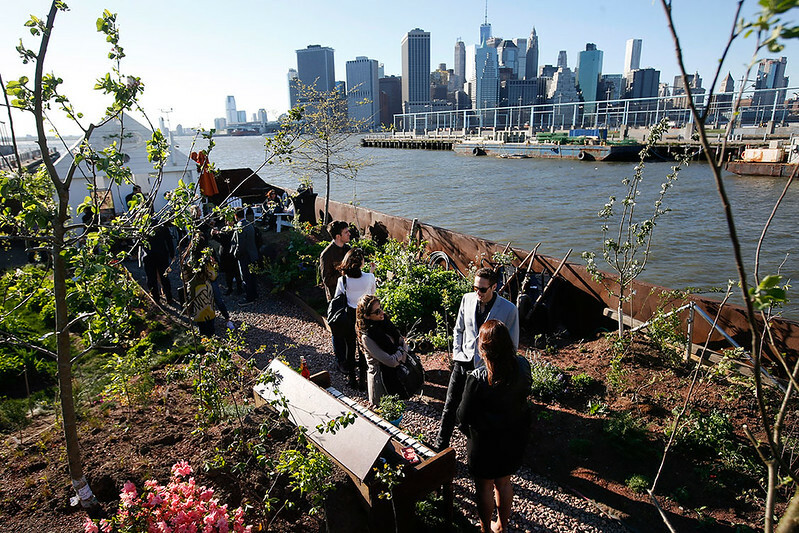 Picking one’s own food is illegal on New York City public land, so Mattingly banded together a team of stakeholders to construct a dense garden of edible plants atop a barge- which is technically legal due to a loophole created by waterway common law. According to the New York City Parks Department; 1.No person shall deface, write upon, injure, sever, mutilate, kill or remove from the ground any trees under the jurisdiction of the Department without permission of the Commissioner. 2.No person shall deface, write upon, sever, mutilate, kill or remove from the ground any plants, flowers, shrubs or other vegetation under the jurisdiction of the Department without permission of the Commissioner. The barge that was once used for hauling sand to construction sites before it was repurposed for growing food. The natural ecosystem found on the barge is made up of a self-supporting mix of perennial native fruit trees and shrubs, leafy self-seeding annuals and salt loving grasses. This plant mix has been rigorously tested to support and nourish one another in a salt-tolerant environment. Swale claims this unique ecosystem can naturally fight pests while attracting nearby pollinators. There is no limit nor charge for foraging food on the barge. 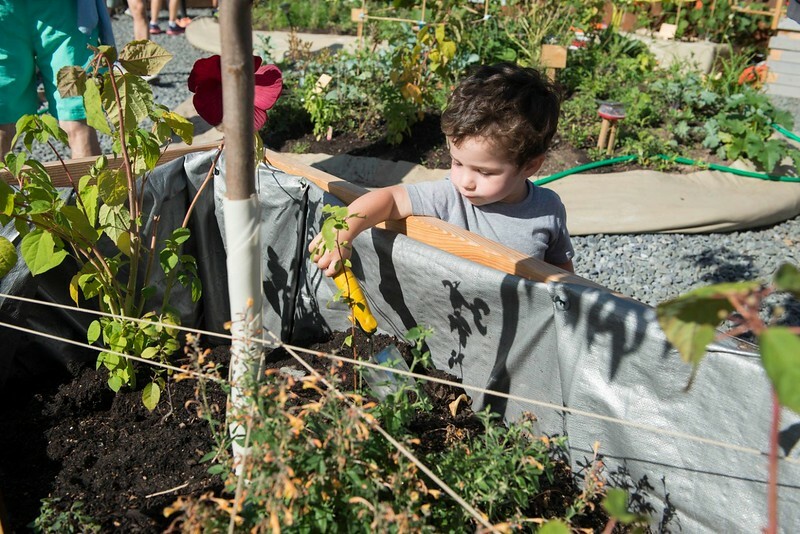 In addition to picking one’s own food, staff offers a diverse array of educational programming designed to strengthen stewardship of public waterways and land. Swale currently works with Youth Ministries for Peace and Justice to run free public programming, while also providing professional development opportunities for youth throughout South Bronx. 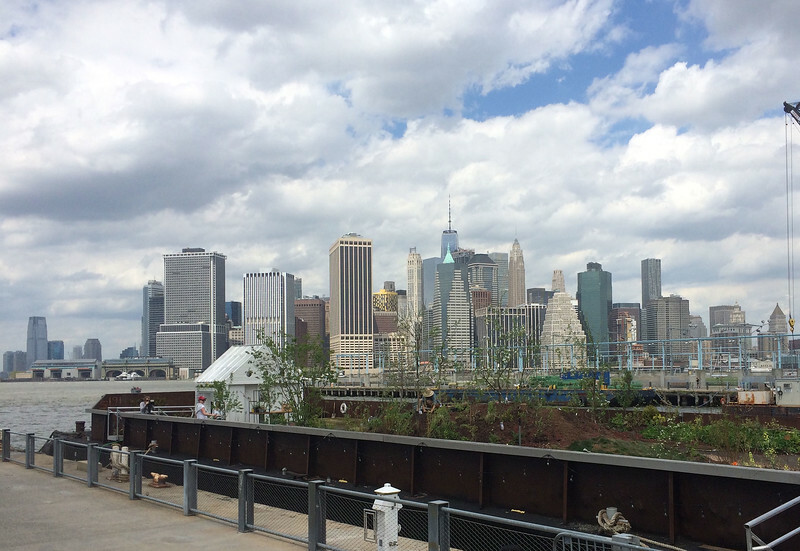 When the barge cuts ties to Brooklyn’s Pier Park on June 30, it will relocate to Concrete Plant Park in the Bronx from July through August.